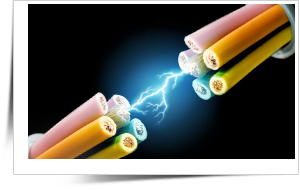 Electrical Engineering, deals with the engineering problems, opportunities and needs of electrical, electronics, computer, telecommunication systems and related industries. This branch provides students with a wide range of fundamental knowledge in core disciplines such as communications, control systems, signal processing, radio frequency design, micro-processors, micro-electronics, power generation and electrical machines. The discipline focuses on design and manufacture of electrical, electronic devised, computers and their component parts, as well as on the integration of components into complex systems. EEE engineers, design circuits for electrically operated vehicles, computers, digital devices, electronic memory storage devices, industrial robots and CNC machines. • EEE Engineers setup & operate the telecommunication, wireless and internet networks. What is the future for an Electrical Engineering graduate? Who should opt for EEE?